Laser-cut Invitations continue to impress! Endless possibilities to mix and match, dress up and embellish, customize and create! Available in a variety of different paper stocks such as metallic shimmer, glitter, matte and textured. Our staff with help Customized with personalized belly-bands, ribbons, tags, and pear or rhinestone buckles. Our design experts can help you to coordinate with the theme, colors and style of your special event. Incredible precision in laser-cutting and the textured beauty of embossing make for a beautiful presentation. 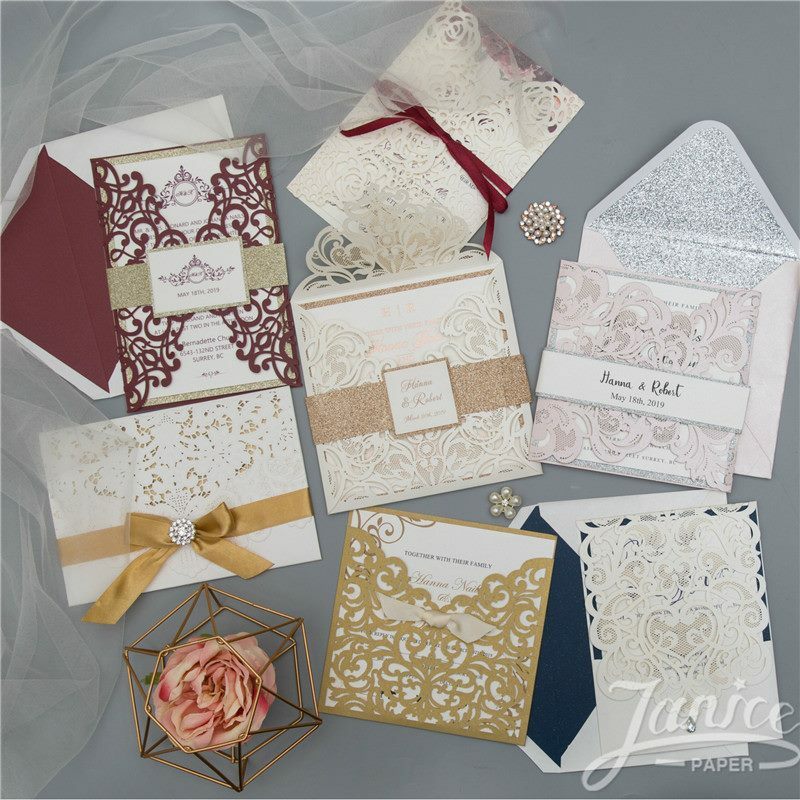 Your guests will have a hard time taking their eyes off these delicate yet artfully designed and luxurious invitations. Let our experts design the inserts to your specifications, and are available in a variety of printing options such as digital printing, thermography and foil printing.